Support the National Kidney Foundation at foodie event. George Lopez and wife Ann host the Go Green Go Organic Great Chefs of Los Angeles day on Sunday, November 8th. We love this story. Yes, love. You know it. 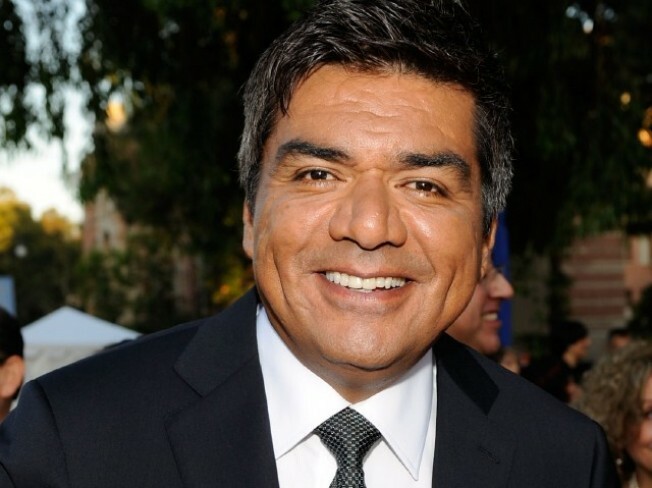 It's the tale of comedian George Lopez receiving a kidney from his wife Ann. There are so many great things about it, including that the two were a match, and that they're an inspiration for a great and giving marriage, and we can all be moved by that selflessness and connection. And we can be inspired that Mr. Lopez, one of our favorite comics, one of everyone's favorite comics, has become, along with his heroic wife, a true advocate for the National Kidney Foundation. Now nearly a half decade after receiving his new kidney, George and Ann Lopez are chairing the Great Chefs of Los Angeles Go Green Go Organic event. It's called "A Celebration of Food & Wine" and the roster of talented-with-a-cleaver attendees backs that. Who's headed for CBS Radford on Sunday, November 8th: Neal Fraser, Mary Sue Milliken & Susan Feniger, and a host of chefs from Loteria Grill and 8oz. and Josie and The Bazaar at SLS and so many more. Reps from some 30 restaurants and catering companies are expected to be whipping up the deliciousness during the day. Hours are noon-3:30PM, you'll eat well, and the ticket price -- $150 (there are other packages as well) -- goes to helping the National Kidney Foundation.